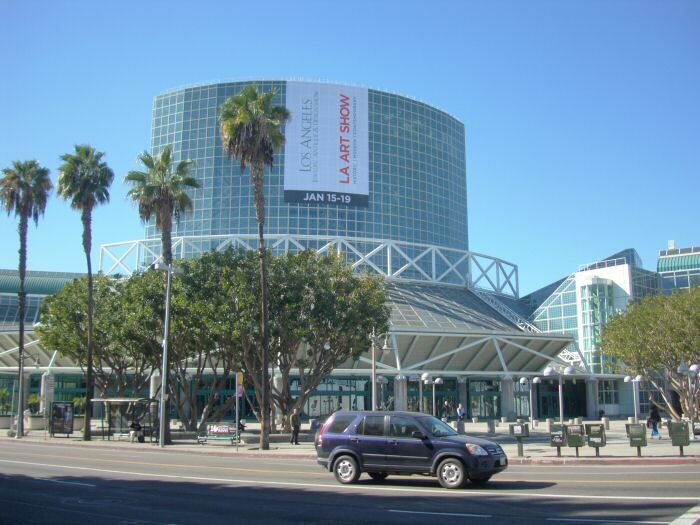 Every January for the past 19 years, art galleries from all over the world have schlepped selected works of art to Los Angeles for the LA Art Show. 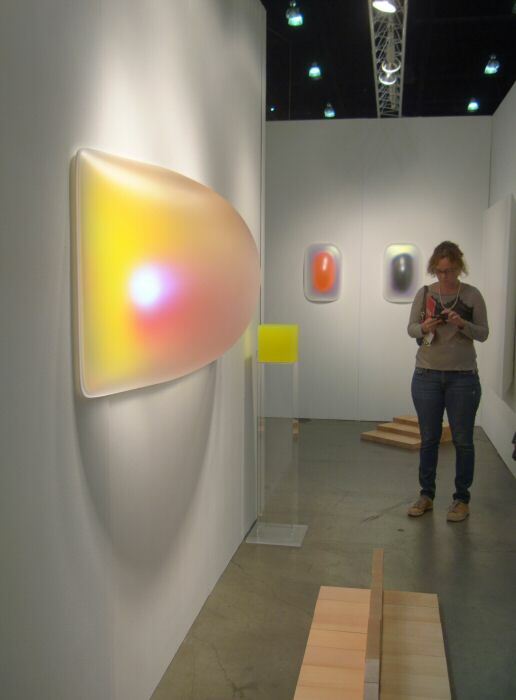 Other large art fairs here seem to come and go, but the venerable (19 years is venerable in L.A., trust me) LA Art Show keeps going strong. I think it was even bigger and better this year. 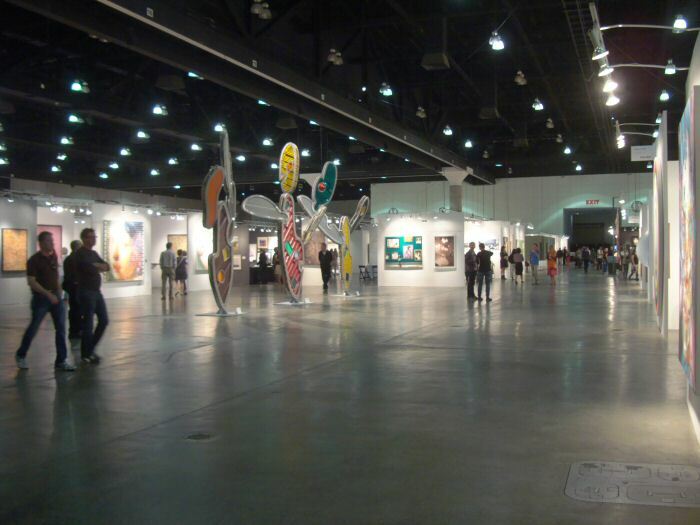 Sadly, we seem to have lost the Affordable Art Fair which ran concurrently with the LA Art Show a couple years ago. 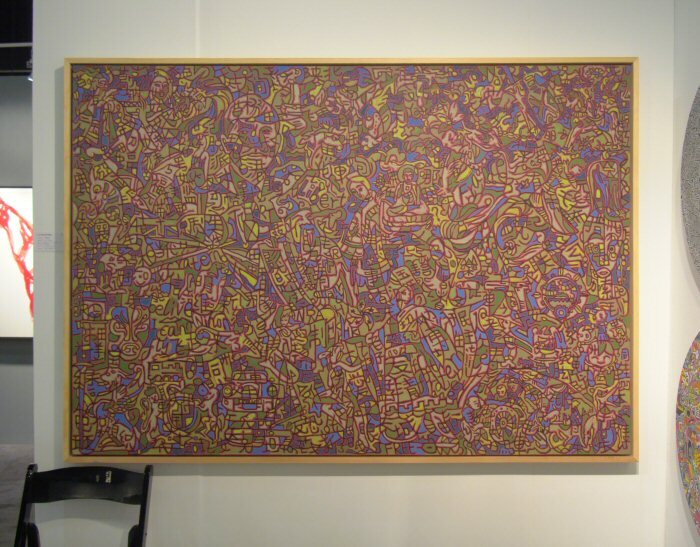 It was easy to walk to it from the LA Art Show, but it’s nowhere to be seen again this year. I guess Los Angeles just can’t handle that much art. 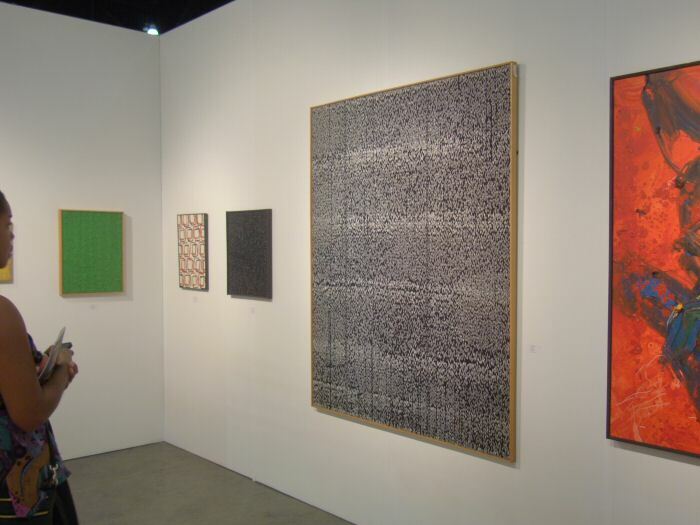 Still, I’m excited to see the LA Art Show doing so well. 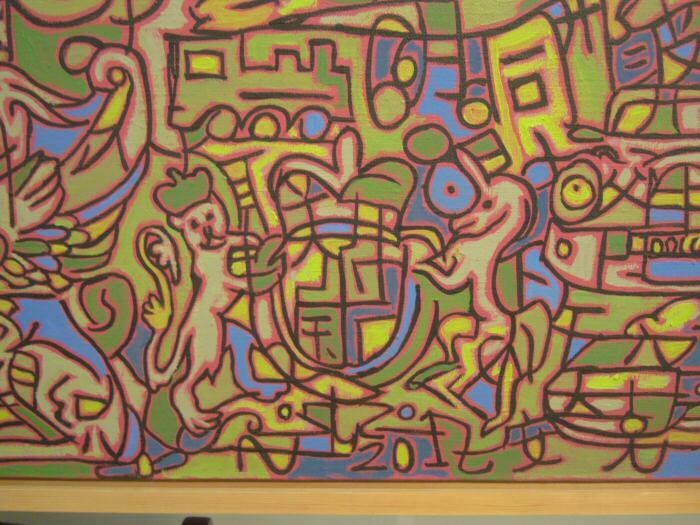 We need more people in this city taking an interest in and collecting art. The money is here, it’s just a question of education and taste. (Always a bit questionable in Tinseltown, admittedly.) This is the kind of show to draw them in. 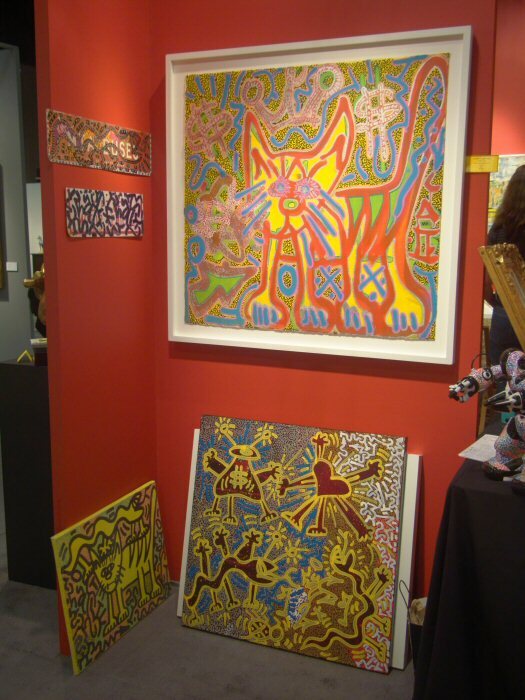 The show ran Thursday through Sunday, January 16-19, 2014. I went on Friday, and like the last couple years I took public transportation to avoid Los Angeles’ infamous traffic. It’s no faster than driving, but it is easier and safer. Plus, this year I discovered there was a whopping 50% discount on show admission if you showed your Metro (“Tap”) card, so I happily claimed my discount. I’d prefer free, but half off ain’t bad. I found myself skimming through the traditional section pretty quickly, and didn’t really stop for pictures. One gallery I wanted to take photos in didn’t allow it (I always ask first), and the others didn’t have anything that grabbed me enough to stop. But I did see some good art by dead artists; it’s worth going to this show if you’re into that. There’s always a lot of early-California Impressionism here; I saw several Edgar Payne paintings. Of the more contemporary work, which made up the bulk of the show, there were some real standouts for me this year. Facing each other across the open space pictured above were the two galleries I thought had the best booths of the show: Leslie Smith Gallery (Amsterdam) and ACE Gallery (Los Angeles). Tjawina Porter Nampitjinpa (b. 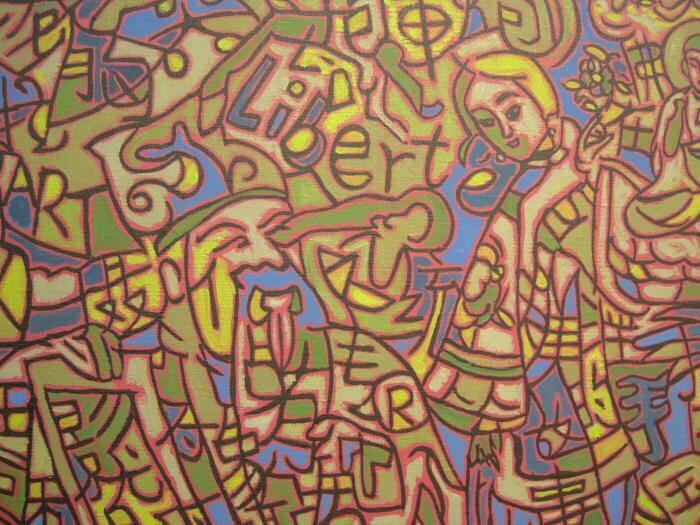 1950), untitled, acrylic on canvas, 96 x 192 inches, price on request from Leslie Smith Gallery. Really, this painting should be in a museum. 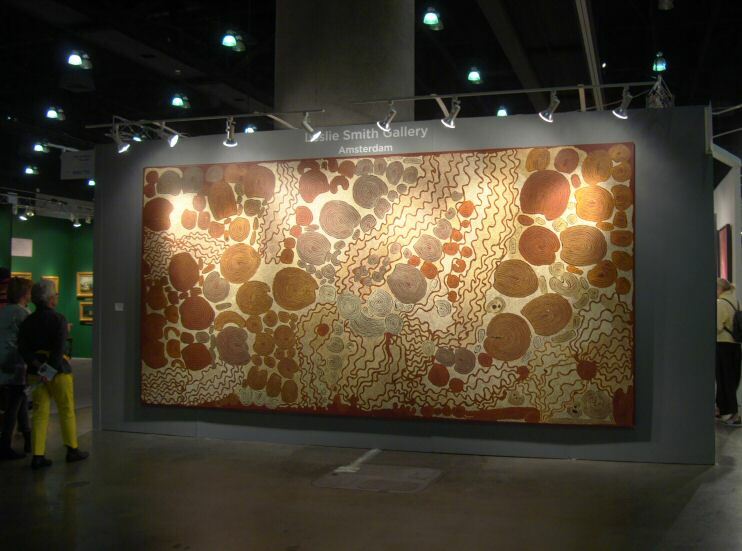 Inside the booth was more Aboriginal art, which they specialize in (along with other contemporary art). 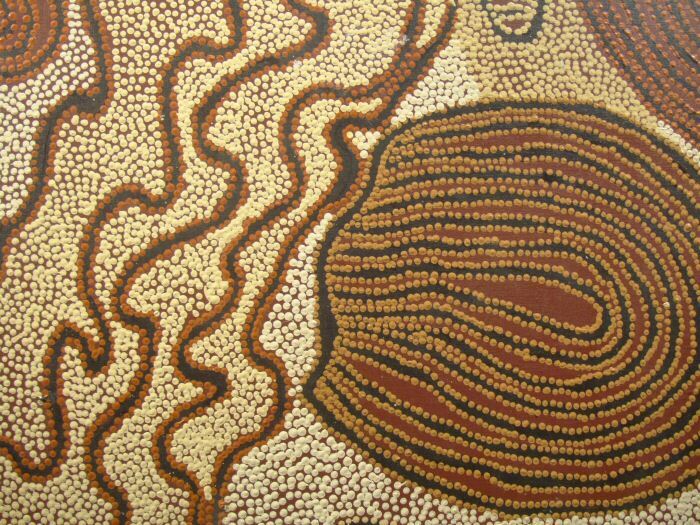 I enjoyed all the work they showed but since Aboriginal art is a passion of mine I just took pictures of that. 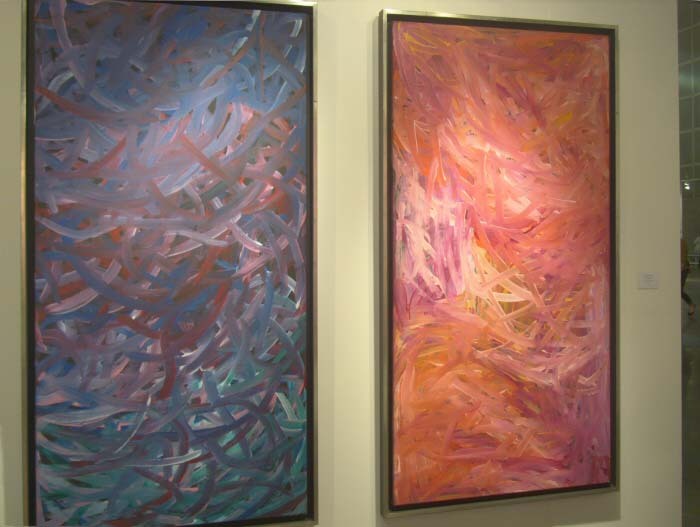 Emily Kame Kngwarreye (1910-1996), “Grass Seed Blue” and “Grass Seed Red,” acrylic on canvas, 73 x 35 inches each, $125,000 each at Leslie Smith Gallery. Lorna Ward Napanangka (b. 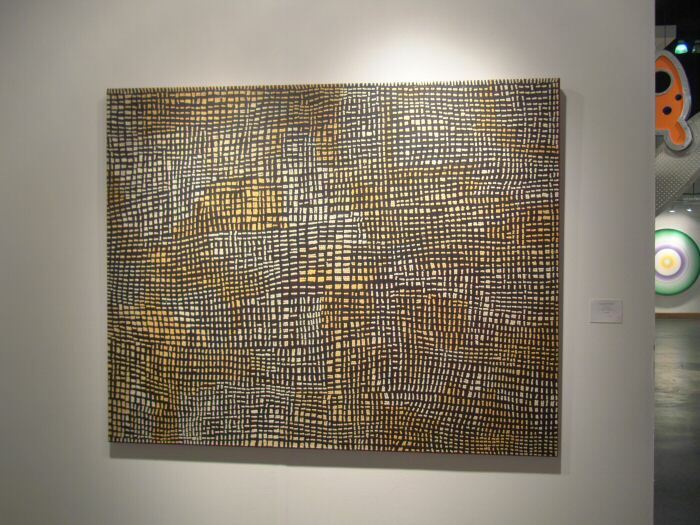 1961), “Marrapinti,” acrylic on canvas, 60 x 48 inches, $17,500 at Leslie Smith Gallery. Sarrita King (b. 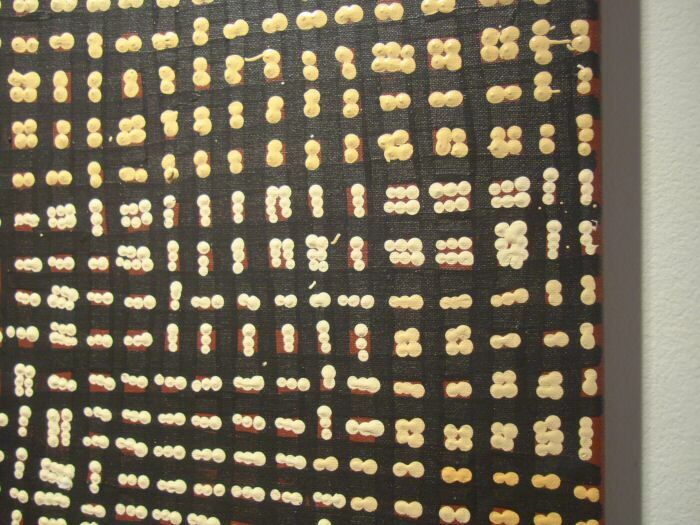 1988), “Earth Circles,” acrylic on canvas, 59 x 17 inches, $4500 at Leslie Smith Gallery. Barbara Weir (b. 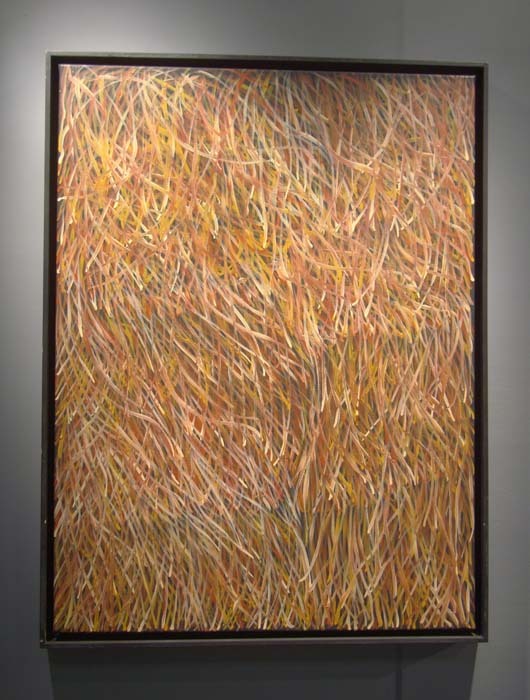 1945), “Grass Seeds,” acrylic on canvas, 47 x 35 inches, $12,500 at Leslie Smith Gallery. 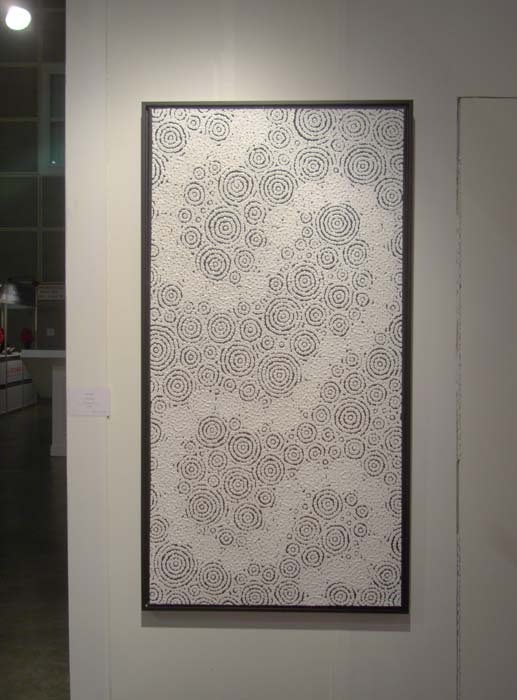 The large central piece is by Chiyu Uemae, untitled stitchwork, 66 x 54 inches, 1989-90, no price indicated, shown by Whitestone Gallery, Tokyo, Japan. 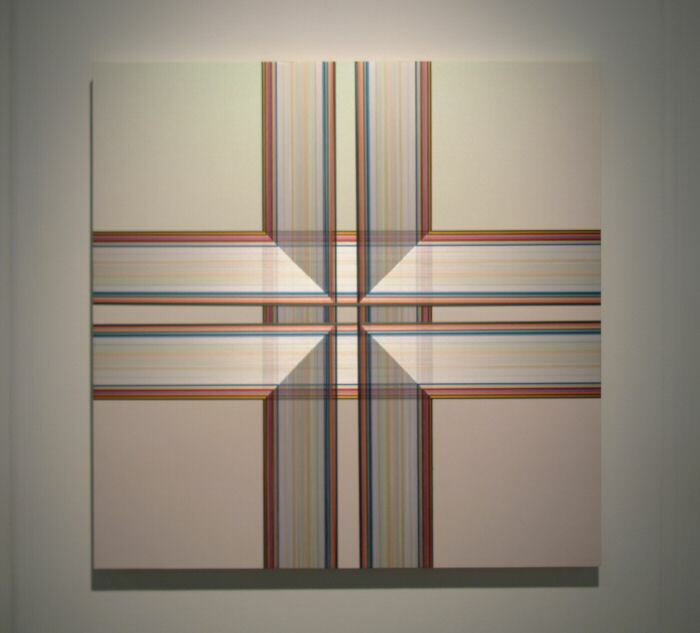 Brian Wills, untitled, rayon thread and enamel on wood, 36 x 36 inches, no price indicated, shown by ACE Gallery, Los Angeles. Those colored lines are threads (of the ordinary sewing sort), stretched across the piece and affixed only to the sides of the board. They weave under and over each other near the center to make that translucent effect. Mesmerizing up close, graphic from a distance. My kind of stuff. 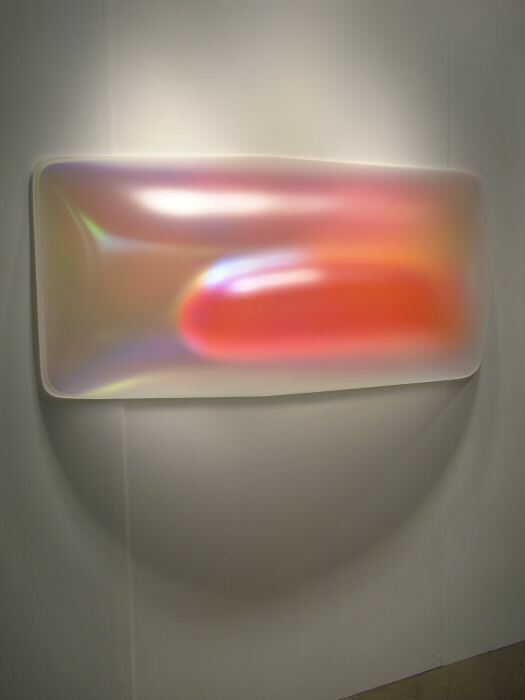 Two views of the same piece (which exhibited an exciting color shift as you moved around it): Gilsela Colon, “Rectangle Torque Glo-Pod (Iridescent Hot Red/Pink),” blow-molded acrylic, 31h x 65w x 12d inches, 2013, no price indicated, shown by ACE Gallery. It looks a lot deeper than 12 inches, doesn’t it? Strange and mysterious but oddly compelling. Thank you, LA Art Show. Good show this year! Entry filed under: Art Fairs, LA Art Show. Thank you for giving us a brief look at a show I hope to attend in person some day. Can’t wait to see how this has inspired you. Thanks Kathy, it was a fun show this year. Stay tuned for updates on my own work! I'm an artist. 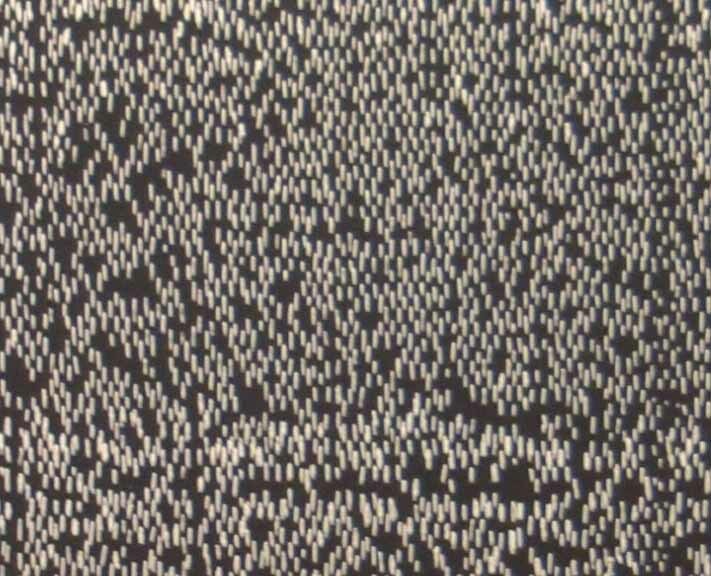 I make paintings with dots. I work in acrylic paint, in a couple of distinct styles: landscapes and abstracts. Native to California, I've lived elsewhere and only recently returned to my home state. I now live in Los Angeles. I mostly show my art in outdoor festivals in California. I also occasionally show my work in art galleries or open studio events. You can see an up-to-date list of upcoming shows on my website (click here). I invite you to sign up to receive my free email newsletter, in which I list my upcoming shows and talk about my latest work. I send it irregularly, a few times a year. Get this blog delivered by email! Click here to receive my free email newsletter for up-to-date info on my shows, my art, and anything else that I'm up to. I send it out irregularly, a few times a year.